There is both a physical science and a chemistry at work in the best techniques and solutions to employ in removing stains from a carpet. The physical science is in how you should tackle the stain, and means, for the most part, that stains should not be wiped or worse still, scrubbed, but instead should be blotted. The chemistry comes in knowing just which types of household solutions work for the type of marks you have, some may even require spot dyeing. Some stains don’t react at all to a certain type of solution, whereas for other types of stains, the same solution might be the worse thing you could apply. 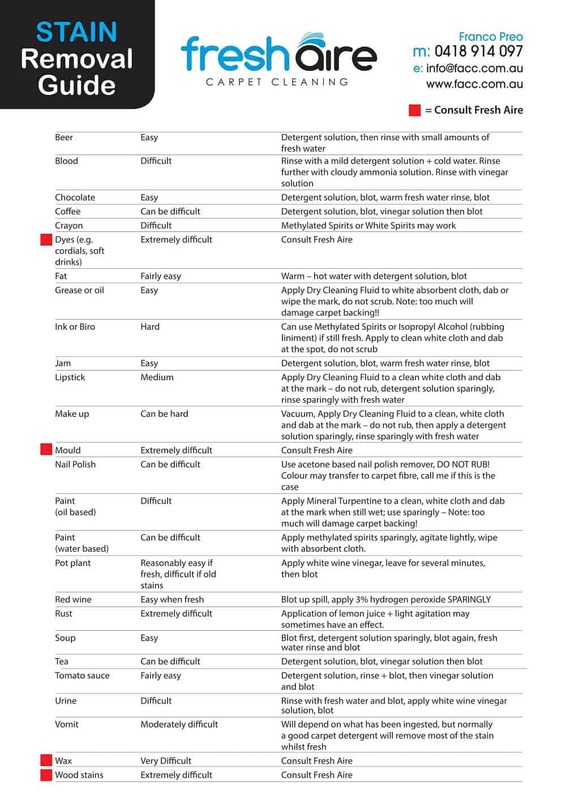 We’ve made up this handy chart to refer to when trying to find out what, if anything, you should do for the particular stain that is spoiling the expensive beauty of your carpet. It also tells you when you should call in the professional experts to handle the toughest stains or risk damaging your carpet by tackling it with little experience in removing stains from carpets. 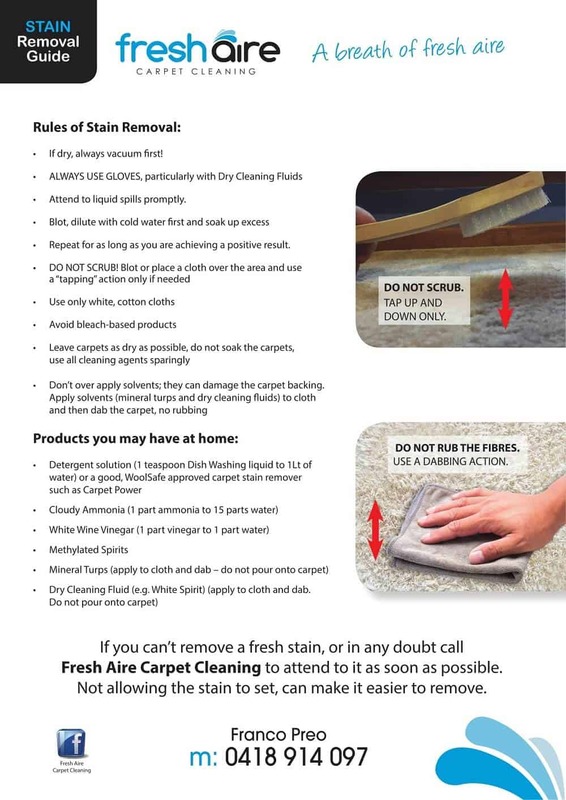 You can use this carpet stain removal guide as a tutorial or study the different solutions to get a firm idea of which kinds of stains the different solutions are effective in treating. But any red coloured stains should be considered as warnings that these are the toughest stains to rid your carpet of, unless you have professional carpet cleaning experience. They should always be considered ‘hands-off’ stains for the amateur to deal with and trusted only to a knowledgeable carpet cleaning professional in Perth with considerable stain removal experience.